This location was perfect for the train station and for St George's Hall theatre. It is literally over the road. The hotel room interior is slightly dated but still clean. Breakfast was ok but not the best. For the price, this is an excellent hotel. The staff were very welcoming, efficient and friendly. The hotel and my room were very clean and everything worked as advertised. The only negative aspect is that this isn't an attractive building or interior. It's functional and well run, but not very inspiring to say the least. Well the staff are lovely and the Bradford people a great laugh so that more than makes up for the lack of glamour. I must say the hotel is clean and neat and in a very good location. However, it is so old that it requires renovation to give it justice. 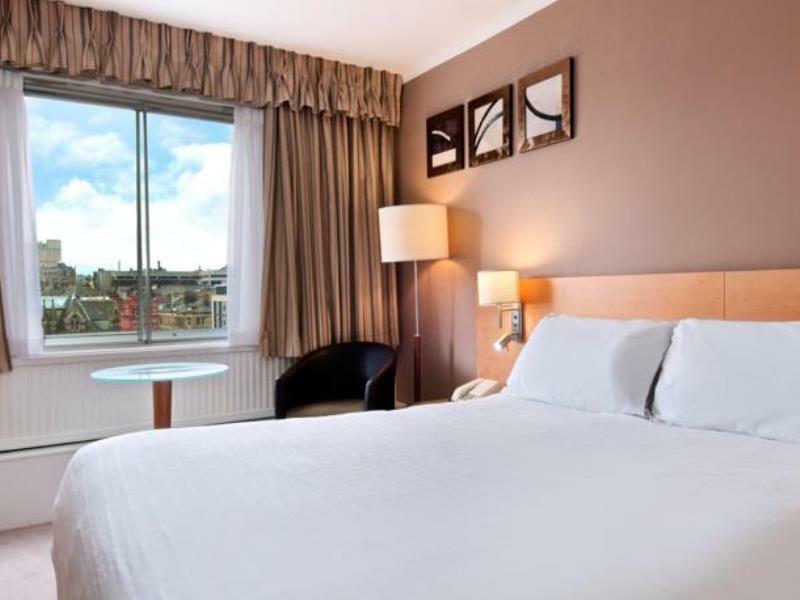 This had been my first visit and by far the best stay ive experienced in a hotel uk. The staff were exeptionally kind efficent and helpful on front desk and house keeping room service. I shall be recommending and returning again. Excellent Memorable stay which I will not forget. Looking for to staying there again if travelling Yorkshire again. It was good, i might come back again , but there are many better ones in the area. Very comfortable. I would definitely use it again. room telephone was dead, no external connection or to reception. room was very cold. pillows very uncpmfortable. communal area and room inside not upto the standard. someone drunk and vomited outside the hotel on the ground as there is a night club next door, which we had to pass by in the morning to go to the car park. never again in this hotel. dirty towels, no heat in the room- cold room, poor breakfast ( I had better breakfast in 2-3 stars hotels, all the staff didnt care for anything, reception didnt answer to any call, they forgot to put hotel amenities, they didnt clean the carpet in the room at all, most of the times the general hotel was anorganized and not clean. You expect a lot of more for a Hilton hotel. I made complains they didnt care at all. it was a dissapointment. 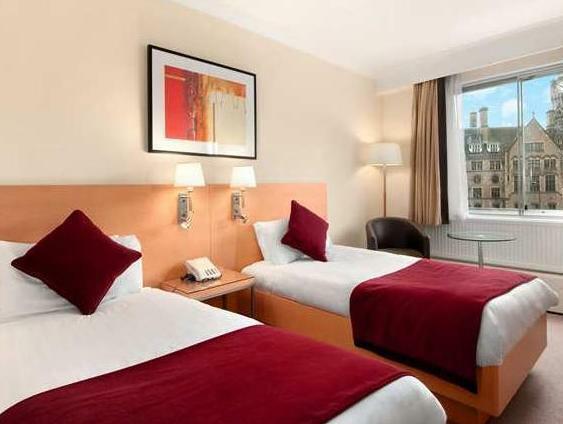 the room was very good, it was not so clean and they didnt change linen. great place great room. near the shopping district area. the staff were wonderful and the feature was the fantastic restaurant, we had great meals every time we ate there. even though the hotel wasn't as big as a couple of others we stayed at they did have plasma tv setup so you could relax and watch a good selection of movies if in the mood. we were recommended this place by friends and though we stayed at other great villas but for overall combination of location and food quality and value this place was our favourite we hope to return too. Hotel and service were great but the rooms were smaller that you would have expected for 4star hotel. Plus the room service is expensive e.g for cheese sandwich. Ok to stay for the price we paid (one room, 3 persons,one night). Parking may be pricey if your driving but if your happy to walk then you could find it for £2-3 for the night. 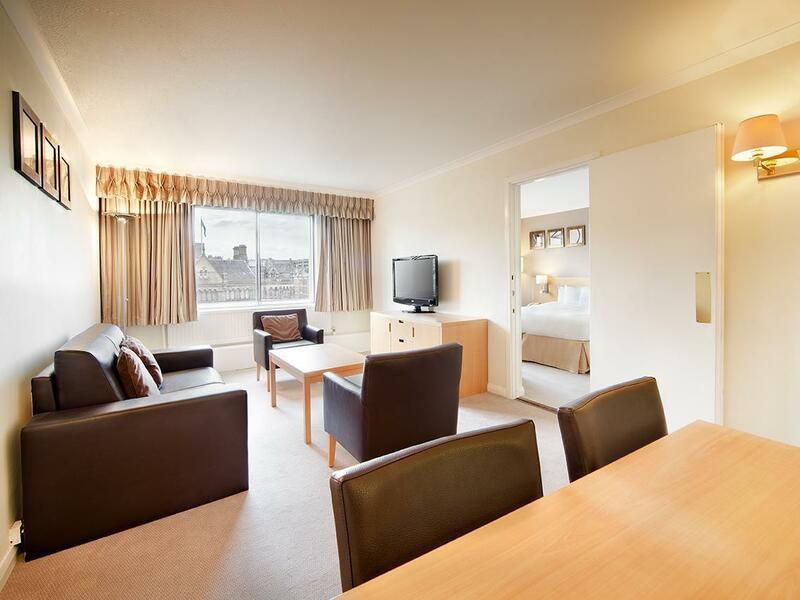 hilton bradford is exceptionally well situated, adjacent to the main transport hub of bradford interchange. 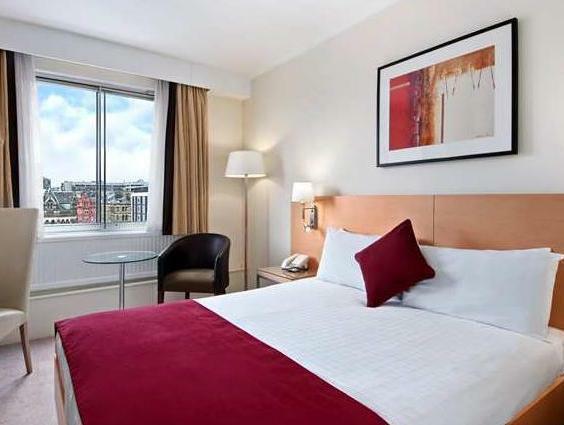 it's in the centre of town, and rooms are pleasantly furnished. 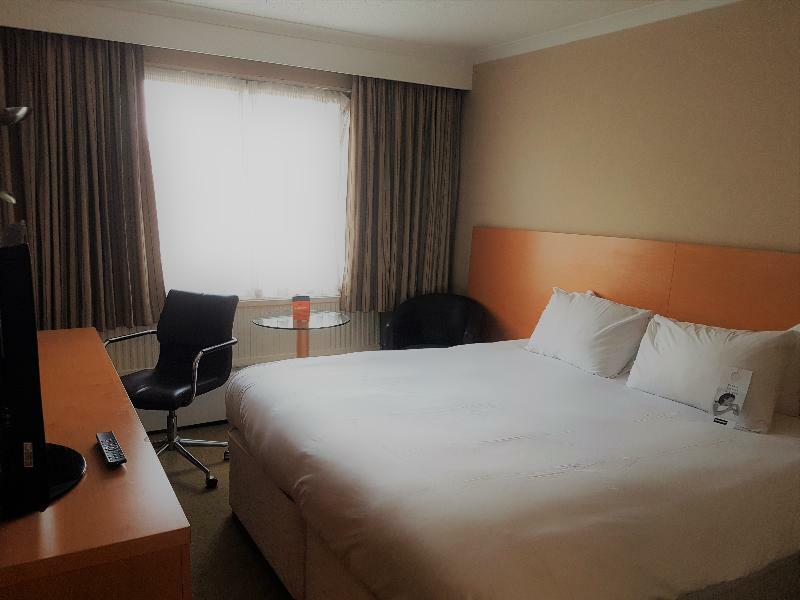 good location, expensive parking, slightly shabby room, was given a smoking room (which i didn't want) without being asked my preference. room smelled badly of smoke. Ridiculously expensive WiFi connection charges, totally out out of proportion. Position in middle of city with easy access. comfortable as you would expect, friendly and helpfull staff, good for a stop over or longer visit. station very close if required. did not use restaurant so cannot comment on food or service there but all looked very good. window in room are old and could do with replacing, not able to open to let some fresh air in. building was warm, even with when minus outside. would use again. facilities in the hotel are a bit lacking for this standard of hotel, no gym, pool, sauna. do offer use of gym off site though. good standard hotel for the price paid. good location but hotel does not have any facilities other than restaurant & late bar, which was fine for our one night stay. Large NCP car park next door for whcih you have to pay ! !, they stamp your car park ticket for you to get a discount, but as there were no car park staff arroung i had no choice but to pay the full price at the machine to get off the car park !! !